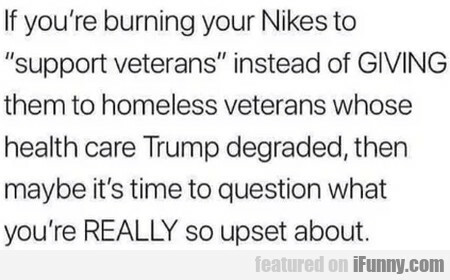 If You're Burning Your Nikes To Support Veterans..
Did You Fall In The Water? No? When Im Mad At Someone But. Hey Dad, How Does A Carburetor Work?